At Green Coast Rubbish we’re not worried about taking over the world, expanding to never-ending horizons, or even gaining uncharted commercial success in Vancouver’s junk removal and recycling industry. We are a local enterprise who is concerned with thinking globally and acting locally. As such, we consciously try to minimize our footprint on this earth, and it is this mantra that is carried forth and reflected in our work ethic, by recycling or donating whenever possible, 100% of the time. In fact, in 2018 we diverted a massive 82% of the waste we hauled to alternative recycling and waste recovery streams! We feel that a major part of this philosophy is not only servicing ones’ community but also playing an essential role in it. Not only are we keeping Vancouver and its surrounding communities greener and cleaner, we are advocating for healthier and safer places to live. One such initiative is being proactive in protecting human health, through the promotion of sport. Honoured to be voted for the second year in a row as one of Vancouver’s favourite environmentally responsible businesses in the Vancouver Courier’s Stars of Vancouver Readers’ Choice Awards! Amazing to be recognized! Read more. Did you know that textile waste is a growing problem amounting to about 5% of the annual total garbage in Metro Vancouver? Or that we buy an astonishing three times as much clothing as we did back in the 1980’s? Find out about the many options available to reduce, repair and reuse clothing! Read more. Find out how we removed, recycled and diverted 8,000 pounds of material from the local landfill on our latest multi-phase tenant improvement demolition and deconstruction project! Read more. Honoured to be mentioned in the Vancity Credit Union report, “State of Waste: How B.C. compares in the war on trash” as a positive solution to a local problem! Read more. Check out this awesome Vancouver Sun article on the green deconstruction initiatives happening around Vancouver. We are honoured to have been included in the discussion. Read more. Our year in review-2018, a year of growth and challenge, humbling wins and numbing loss. A big thank you to all of you for supporting us not just this year, but always. Cheers to you and best wishes for a year like no other. Read more. With Christmas right around the corner, here are some easy recycling tips to help your family go green and reduce holiday waste in a big way! Read more. The holiday season is a wonderful time to give back to the community. In this week’s blog, we are sharing our favourite local charities in the hopes of inspiring holiday giving in your family. Read more. We are once again partnering with the Fall For Local Markets Holiday Market at The Pipe Shop at the Shipyards. Amazing local vendors, free DIY gift wrapping and great gifts for a few people on your nice list! We will be there taking care of the rubbish, so you can be there enjoying the Season. Single-use products are impacting our oceans and environment long after they are used. Here are some easy ways to make a difference by switching to durable, reusable and recyclable products in our day to day lives! Read more. Discover how we salvaged appliances from a 4-floor housing complex at UBC and donated them to Habitat for Humanity for reuse in upcoming affordable housing projects. Read more. Find out how we were able to provide a zero-waste office furniture recycling solution for a downtown Vancouver office closure. We were thrilled to donate 100% of the office furniture while diverting all of that material away from the landfill! Read more. Honoured to be one of seven green companies to be recognized and profiled by the Recycling Council of British Columbia for Waste Reduction Week! Read our profile. Get in the Fall spirit with us this Saturday the 13th, as we sponsor the Lynn Valley Elementary School Pumpkin Patch! We love helping take care of our community, so you can take care of winning the prizes, games and goodies! Read more. Our new blog is up! Head on over to check out our 4 tips on how to “green your hygiene routine” and be one step closer to living that #zerowaste lifestyle. Read more. It may have been a rainy day for our Fall Clean Up customer appreciation event, but we had a fantastic turnout nonetheless! Free drop off and recycling of unwanted household goods, sporting goods and clothes. A big shout-out to North Vancouver Homes for organizing, and Canyon Heights Church for all of their great support. Read more. If you need help to get started with cleaning up and decluttering, read our latest blog to find out about some great Metro Vancouver recycling resources! Read more. For the 4th year in a row, we are honoured to be managing the waste & recycling for The Knee Knacker-one of Canada’s most challenging ultra-marathons! A 48.6 km trail run from Horseshoe Bay to Deep Cove with 2,400 meters in elevation. Come to celebrate the achievements of these amazing athletes at the finish lines, Party In The Park! We are ecstatic to announce that we won the 2018 Better Business Bureau’s Green Torch Award. Many thanks to the BBB for their continued support and recognition. Read more. Proud to be one of 70 companies in Canada to receive a 2018 HomeStars Giving Back Award for our work in the #community! Guess who turns 12 today? Couldn’t be more thankful for all of the support & success we have achieved! A big thank you all of our loyal clients, amazing staff, friends and family who have been there since day one. We are honoured to be among the recipients in the Favourite Environmentally Responsible Business category for the Vancouver Courier’s 2018 readers’ choice awards. For the 6th year in a row, Green Coast Rubbish was happy to donate to the Special Olympics BC through the New Car Dealers Association of BC’s silent auction. We fully stand behind the Special Olympics programs and their common goal of improving the lives of people with intellectual disabilities to live healthier lives and to build more inclusive communities across our great province. On-line bidding is open April 28th till May 4th. Truly honoured to have been recognized with both the HomeStars Giving Back Award, as well as a Best of 2018 Award. Head to our blog to read up about our latest achievements. Read more. Head over to our blog and navigate like a Vancouver local with these easy and fun eco-friendly Valentine’s Day date ideas. Read more. Unsure of what to do with your old electronics? Here are some excellent resources for recycling of your e-waste properly. Read more. In the spirit of sustainability, we wanted to share a few tips to recover from the holidays. It can be overwhelming, between Christmas and New Years Eve parties, entertainment and holiday events. The junk can really start to pile up. Remove any clutter or dust from the old year the right way with these five easy tips. Read more. Find out how we tackled this challenging deconstruction project in the heart of historic Gastown where we salvaged all doors and windows for reuse! Read more. There is nothing we love more than supporting other local small businesses, so we are beyond stoked to be a sponsor for the Fall For Local pop-up holiday market this weekend! More than 80 vendors, free Waves coffee, free wreath making, and even a free gift wrapping station! Once again, we are proud to be part of the 7th Annual Lynn Valley Community Association‘s Christmas Parade of trees! Come down to Lynn Valley Village and check out our decorated tree with all reclaimed ornaments. Funds raised go to The Lookout and Harvest Project to support families in need in our community. Check out our Facebook page for images. Our CEO, Eamonn Duignan, and staff had the honour of visiting with the Rainforest Learning Centre in North Vancouver to chat about the importance of recycling. We had a blast, and the kids loved our truck! Check out our Facebook page for images. In October, we contributed 5% of any purchase made through our email newsletter to the Harvest Project. Though we did not hit our goal of $1000.00, we are still proud to support a local charity. Small changes can have big impacts. Optimize your home to help contribute to a more sustainable future. Check out our blog for some easy sustainable home design ideas and rebate offers. Read more. Yet another amazing community turnout for our Fall Clean-Up Event held in North Vancouver, BC. Big shout-out to North Vancouver Homes for organizing, and Canyon Heights Church for all of their great support. Read more. There is nothing we love than supporting local businesses in our community and environmental initiatives. Head over to our blog to check out a company doing both! Read more. Very excited to announce a long overdue addition to our team. Pease join us in welcoming our new admin assistant! Read more. Find out how we tore down this monster rotting deck and recycled 3.05 tonnes of wood in the process! Read more. We are ecstatic to announce that we won the 2017 Better Business Bureau’s Community Excellence Torch Award. 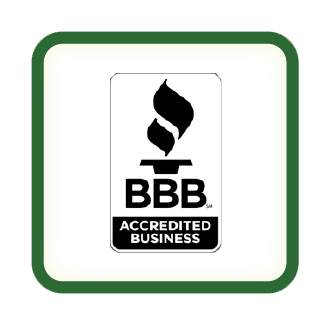 Many thanks to the BBB for their continued support and recognition. Read more. Did you know that you must hit a City of Vancouver mandated recycling rate of 75% when tearing down a pre-1940’s home? We thought we could do it better and achieved 90%! Find how we did it. Read more. Honoured to be a finalist for the 2017 Better Business Bureau’s Community Excellence Torch Award. Wish us luck! Read more. An amazing community turnout for our Spring Clean-Up Event held in North Vancouver, BC. Big shout-out to North Vancouver Homes for organizing, Two Men And A Truck Lower Mainland, North Shore Crisis Services Society, Harvest Project, and Canyon Heights Church for all of their hard work and support. Read more: North Shore News article. For the 5th year in a row, Green Coast Rubbish was happy to donate to the Special Olympics BC through the New Car Dealers Association of BC’s silent auction. We fully stand behind the Special Olympics programs and their common goal of improving the lives of people with intellectual disabilities to live healthier lives, and to build more inclusive communities across our great province. On-line bidding is open April 28th till May 4th. We are proud to launch our deconstruction & demolition page. We don’t just recycle your piles of construction debris, we create them too! Take a look at our newest page. How we recycled 6 tonnes of brick from a New Westminster heritage home chimney demolition. Read more. Award wins, impactful partnerships, new programs and community were important themes for us last year. Check out our 2016 Year in Review! Read more. Green Coast was once again happy to help spread some cheer at the “Christmas in the Streets” event for the residents of Vancouver’s Downtown Eastside. We handed out fresh fruit, water, hot drinks, 100’s of sandwiches, clothing and other goods. Read more and view our Facebook page for images. We are happy to support the 6th Annual Lynn Valley Village Christmas Parade of Trees. Once again, we decorated our tree with 100% reclaimed decorations. Funds raised from the event go to local families with needed food and gifts. Funds also support the work of Lynn Valley Community Association in the community, including: the speaker series, trail improvement projects, and community Read more about it more from a past blog. We are so proud to have been one of three 2016 Business of the Year finalists for the North Vancouver Chamber of Commerce Business Excellence Awards. Watch our amazing 2nd place video produced for the award. Watch our video here. Check out our case study of how Green Coast Rubbish took on a house demolition project and made it into an environmental success story by recycling over 80 tonnes of material. Read more about our home demolition. For the third year in a row, Green Coast Rubbish was happy to be a community sponsor for the Lynn Valley Parent Advisory Council’s annual Pumpkin Patch Fundraiser. Supporting our community is a key mandate for us and we are proud to be a part of the PAC’s biggest fundraiser event of the year. In 2016, we celebrated our 10 year anniversary. It’s been an unbelievable year and to cap it all off Green Coast Rubbish has been shortlisted for Business of the Year in North Vancouver! Read more. Proud of our team who removed 381.6 pounds of trash from Tempe Heights Pond in North Vancouver for our Great Canadian Shoreline Cleanup event. Find out more or visit our Facebook page for images. Big thanks to North Vancouver Home Sales for the amazing write up! Truly honoured be recognized within our community. Read more. In 2016, we have donated over $2200.00 worth of in-kind services and materials to Habitat for Humanity’s deconstruction program and ReStore. We are happy to make a difference in people’s lives and directly contribute to providing affordable home ownership. Read more about our unique partnership. For the 4th year in a row, Green Coast Rubbish was happy to donate to the Special Olympics BC through the New Car Dealers Association of BC’s silent auction. We fully stand behind the Special Olympics programs and their common goal of improving the lives of people with intellectual disabilities to live healthier lives, and to build more inclusive communities across our great province. We are very pleased to announce our first magazine cover & feature! A big thanks to Recycling Product News for the article. Couldn’t be more proud of our team. Check-out the article here. In 2016, we have donated nearly $2000.00 worth of waste removal and recycling services to Habitat for Humanity’s deconstruction program. We are happy to make a difference in people’s lives and directly contribute to providing affordable home ownership. Read more about our unique partnership. Find our more about our CEO, Eamonn Duignan in this feature by Upcycle Vancouver. Read more. Find out how we helped the North Shore Recycling Program achieve a landfill free office move. ‪‬Read more. Green Coast Rubbish is happy to announce that we will managing the waste diversion for all of Mountain Equipment Coop’s out-of-store events in Metro Vancouver for 2016. Read more. 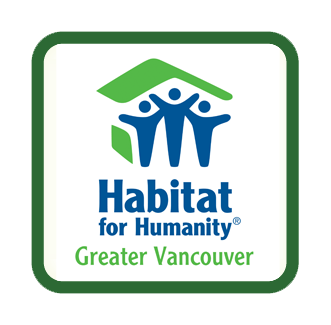 We are proud to announce our official partnership with Habitat for Humanity of Greater Vancouver. We will be supporting Habitat’s deconstruction program which focuses on diverting architectural waste from the landfill, creating valuable opportunities for volunteers and raising money to build affordable housing in Greater Vancouver. Read more. Green Coast was thrilled to join Starbucks, Kind, Vega and the Union Gospel Mission in spreading some cheer on Christmas Eve to the residents of Vancouver’s Downtown Eastside. We handed out food, hot drinks, clothing and got nothing but smiles in return! View our Facebook page for images. We are very proud to be sponsoring another Christmas tree in the 5th annual Lynn Valley Christmas Parade of Trees for this holiday season. All proceeds will be going to the Lynn Valley Lions Hamper Program and the Lynn Valley Legion’s Toy Drive. And, the best part is that all of our decorations for our tree were reclaimed from pick-up’s we did throughout the year. Check-out our blog for more information on this great community event. Green Coast was happy to provide a truck and two of our finest staff to deliver donations to the Middle Eastern Friendship Centre Society in support of the Syrian refugees. Check-out this video on how we helped donate hundreds of items including: clothing, diapers, formula, food, blankets and more. Green Coast Rubbish is proud to be a sponsor for the unique musical show The Music of Junk coming to Vancouver from November 18 – 22, 2015. Did we say the music of junk? As in recycled junk? As in making music with recycled junk? You betcha! Read more. Honoured to be profiled by the Recycling Council of British Columbia. Check-out our Zero Waste Profile: http://ow.ly/TLP2J. Green Coast Rubbish will once again be a community sponsor for the Lynn Valley Parent Advisory Council’s (PAC) annual Pumpkin Patch Fundraiser. Supporting our community is a key mandate for us and we are proud to be a part of the PAC’s biggest fundraiser event of the year. Find out how our team helped SNC-Lavalin recycle nearly 11,000 pounds of paper as they relocated offices in Vancouver: Green Coast in Action: SNC-Lavalin Office Move. Green Coast Rubbish staff never know what kind of job they might be asked to do next. In this new blog series – Green Coast in Action – we will reveal some of the unique waste removal and recycling jobs that our company has completed starting with this week’s feature project: Vancouver Condo Deconstruction & Demolition. Have you heard about the great things Arc’teryx is doing in our community? Our One to Watch blog features North Vancouver’s very own Arc’teryx – a business that is committed to achieving sustainability in every aspect of its operations. Find out more. A very big thank you to Vancity for the kind words and the great story on Green Coast! We are so grateful for all of the support in helping us grow and enabling us to do what we: Green Coast Rubbish takes out the trash-sustainably. We are honored to be managing the waste & recycling for The Knee Knacker-a 48.6 km or 30 mile trail run from Horseshoe Bay to Deep Cove. Green Coast Rubbish is fully committed and accountable to working toward a greener future, and ultimately, limiting our GHG Footprint through the through Climate Smart. We are proud to have measured our fifth greenhouse gas (GHG) emissions inventory for the 2014 calendar year. In 2014, our emissions per 1K revenue decreased by 54%. We also reduced our emissions from emissions from electricity and transportation. Find out more. For the 5th consecutive year Green Coast Rubbish is once again managing the waste and recycling for MEC’s North Shore Bikefest at Inter River Park in North Vancouver, BC. We are proud to have managed this event since its conception. Bring your bike, your family, and your riding buddies and embrace the awesomeness of two wheels. In our most recent blog post, Achieving Sustainability at Green Coast Rubbish: We try our Best to do the Best we highlight how we achieved a major milestone for 2014 where recycled more than 1.2 million pounds of materials & diverted 86% of the waste we collected away from our local landfills. For the third year in a row, Green Coast Rubbish was happy to donate to the Special Olympics BC through the New Car Dealers Association of BC’s silent auction. We whole heartily support all Special Olympics programs and the common goal of improving the lives of people with intellectual disabilities through sport. The 2015 auction will run from May 1st to May 8th. In our One to Watch blog series, we are featuring The Listel Hotel. It is not your average property in our community when it comes to reducing its carbon footprint and incorporating sustainability principles in every aspect of its operations. Here’s why we at Green Coast Rubbish feels this unique business is one to watch. Find out more. From March 23 to 27, Green Coast Rubbish will be “Tying One On” for Spinal Cord Injury BC. For one week, we will be wearing the ugliest ties we can find to raise some much need funds in support of people living with spinal cord injuries. We’ll be wearing our ugliest ties with pride! View our sponsorship page: http://bit.ly/1FOCkUl. 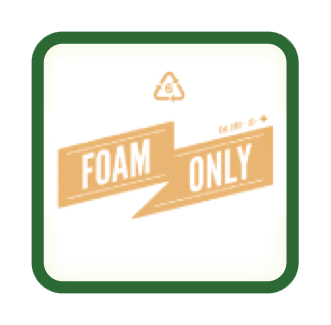 Questions about how to recycle or reuse your old furniture? Check out our blog for some handy tips! We are very proud to have helped raise $3750.00 for the Lynn Valley Christmas fundraiser over the holiday season. All proceeds went to the Lynn Valley Lions Hamper Program and the Lynn Valley Legion’s Toy Drive. All decorations for our tree were reclaimed from residential pick-up’s we did throughout the year. Check-out our FaceBook page for images of our tree. The team at Green Coast is always eager to support our good friends at the North Shore Recycling Program and donate much needed food for those in need at the Harvest Project. View images on our FaceBook page. Green Coast was honoured to present at the Climate Smart member learning event, ‘Waste Not – and Reduce GHG Emissions’. Always happy to pitch on how we are helping our clients reduce their carbon emissions through our waste management and recycling programs. A big thank you to Eternal Sustainability for our second interview on the challenges and opportunities surrounding plastics recycling. Read the interview here. Green Coast Rubbish was happy to be one of the community sponsors for the Lynn Valley Parent Advisory Council’s (PAC) annual Pumpkin Patch Fundraiser. 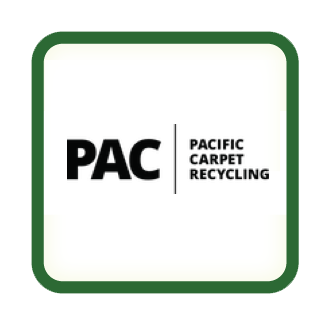 Supporting our community is a key mandate for us at Green Coast and we are proud to be a part of the PAC’s biggest fundraiser event of the year. We were honored to be invited by the City of Vancouver to take part in a workshop aimed at developing new policy to achieve higher reuse and recycling performance from construction, renovation, demolition and capital maintenance of City facilities. We are very humbled to be included in this conversation and to have shared our best practices and knowledge in regards to the reuse and recycling of construction materials. Home owners and property developers in the city of Vancouver will follow new demolition waste recycling requirements for houses built before 1940 thanks to the new Green Demolition Bylaw which went into effect on September 1, 2014. Find out why Green Coast endorsed this forward thinking policy to Vancouver City Council and what it means for home owners and developers. Read more on our blog. At Green Coast Rubbish, we regularly see how small changes in behavior can add up over time. That’s why we are endorsing the Our Horizon project. The Our Horizon project is actively working toward changing the way that government and the general public think about fuel consumption by placing information graphics on fuel pumps. Similar to warning labels on cigarettes, they believe that adding this visual reminder to gas nozzles will help prompt consumers to be more mindful about the long term effects of fossil fuels on climate change. See our blog for more info. A big thanks to the good people at Eternal Sustainability for the great interview. These guys promote local, green businesses and strive for inspiring youth in green entrepreneurship. Learn about our views on sustainability. We are very honoured to be be a featured member on Vancity’s in-branch media displays. Vanity’s value based banking, social and environmental policies make them an ideal fit for Green Coast. We truly value our relationship with this forward thinking co-operative. View our photo gallery to see this fantastic digital feature. Green Coast Rubbish will once again be a managing the waste and recycling for MEC’s North Shore Bikefest at Inter River Park in North Vancouver, BC. We are proud to have managed this event since its conception in 2009. Bring your bike, your family, and your riding buddies and embrace the awesomeness of two wheels. A very big thank you to Vancity for the kind words and the great story on yours truly! We are so grateful for all of the support: Green Coast Rubbish takes out the trash-sustainably. It’s Ugly Tie Week! Green Coast will be wearing our ugly ties to help Spinal Cord Injury BC meet its $15,000 fundraising goal to assist people living with spinal cord injuries and related physical disabilities adapt, adjust and thrive in their communities throughout BC. We are very proud to be a corporate supporter of the NSMBA for 2014. Green Coast is fully aligned with the NSMBA’a objectives, as they provide a voice for mountain biking on the North Shore of Vancouver. They are also an association that is focused on sustainability through education & action, by maintaining and developing mountain trails as environmental leaders. Through the New Car Dealers Association of BC’s silent auction, Green Coast Rubbish is once again happy to donate $550.00 to the Special Olympics BC. We are fully supportive of all Special Olympics programs that help change the lives of individuals with intellectual disabilities to live healthier lives, and to build more inclusive communities across our great province. Green Coast was happy to support the Upper Lonsdale Preschool annual “Tree Chip” fundraiser. All proceeds from the event are used to sustain maintenance on the school and other school programs throughout the year. We had a great turnout and can’t wait for next year! Event poster. We are thrilled to announce that Green Coast Rubbish has been named the winner of the Better Business Bureau’s 2013 Torch Awards in the ‘Green’ category! This is such a big honor for us, and we’re stoked as well as humbled to be recognized for our efforts. Working toward a cleaner and greener future is a collaborative effort, and we absolutely could not have done it without the generous support of our local clients, partners, and associations within our community. Thank you everyone. Check out our blog for the for more information about the win. Green Coast is pleased to donate to KidSport Vancouver’s 3rd annual Dodge for Kids tournament. To date, the event has raised over $37,000 and helped over 225 kids play organized sports. A big thanks to LynnValleyLife.com for a fantastic and personable merchant profile. We couldn’t have said it any better …”a good neighbourhood supports its merchants, and good merchants support their neighbourhood!” Helping you keep your “trash” out of the trash-Green Coast Rubbish Inc.
We are very honoured to be voted the “Best Green Business” on the North Shore for 2013! Many thank to everyone who voted for us and to the North Shore Outlook. We couldn’t be more happy! The Best of the North Shore 2013. North Shore Outlook. Green Coast is honoured to be working with the world renown BC Bike Race (BCBR)-a 7 day stage mountain bike race with 550 participants representing 26 countries. We will be managing the BCBR’s solid waste for the entirety of the event, as well as creating a custom program to reduce the event’s footprint with tailored recycling and waste reduction initiatives. Read more about our exciting partnership: BC Bike Race Turns a Shade of Green. We are super happy to be profiled by GreenKick.ca-a fantastic blog site where you can find tips on how to live a greener, healthier lifestyle. Thanks for the great feature and for the kind words Michele! A Solution for All of Your Renovation Waste. Green Coast Rubbish is happy to donate $550.00 to the Special Olympics BC through a silent auction contribution to the New Car Dealers Association of BC. Green Coast is fully supportive of all Special Olympics programs that help change the lives of individuals with intellectual disabilities to live healthier lives, and to build inclusive communities across our great province. We were honoured to have Geoff Plant, former Attorney General of BC representing Green Coast at a Metro Vancouver committee meeting on purposed flow control measures. It was a privilege to have Geoff share his legal perspective on the issue. Green Coast Rubbish is pleased to be an event sponsor for the Carisbrooke Parent Advisory Council’s “An Evening Aboard the Love Boat” fundraiser. The CPAC hopes to raise over $10,000 towards school programs, including the improvement of their playgrounds and outdoor spaces. We are very honoured to be, one of three, recipients of Vancity’s Community Impact Investment award in the “BC Ideas: Solutions for Strong Communities“ competition. We were selected from a total of 466 entries from 82 communities across BC. Winning entries were based on a strong business model, which incorporates social, environmental, economic, and/or cultural missions. Needless to say, we couldn’t be more proud! From November 5th to 9th Green Coast Rubbish will be raising awareness and much need funds for Spinal Injury Cord BC’s Ugly Ties Change Lives campaign. The concept is simple, we wear our ugliest ties to work and raise funds for a great cause. It’s our goal to assist Spinal Injury Cord BC so that they can continue to help people with spinal cord injuries live productive lives within their communities. A fantastic article by Peter DeVries of Business in Vancouver featuring Green Coast Rubbish. So excited about the mention! Culture by design. Businesses get creative to find and retain top talent. Look who was voted the 3rd ‘Best Green Business’ on the North Shore! Thanks so much to everyone who voted for us, and to the North Shore Outlook. We couldn’t be more happy! The Best of the North Shore 2012. North Shore Outlook. Take a look at what the David Suzuki Foundation’s Queen of Green said about us: How to dispose of problem junk. Moms will be so proud! Green Coast Rubbish was more than happy to donate our services to the Carisbrooke Parent Advisory Council’s (CPAC) silent auction at the Carisbrooke Country Fair in North Vancouver, BC. We are always happy to support such great community events. Be sure to come out next year for a foot-stomping good time! We at Green Coast are very excited to announce that we are now an official member of the The Vancouver Board of Trade. For 125 years, The Vancouver Board of Trade has helped businesses of all sizes to grow and prosper, and we proud to be aligned with such a great local organization. Its official! Green Coast Rubbish is now a participant in the Call2Recycle program. Call2Recycle is dedicated to promoting environmental sustainability by providing free battery recycling in North America. In fact, they collected more than 3.45 million kilograms of rechargeable batteries in 2011. Together, we can recharge the planet! Green Coast Rubbish was named one of the top five green businesses in Small Business BC’s annual Successful You Awards. The Best Green Business Award seeks to recognize the business that best demonstrates an outstanding commitment to energy and sustainability through action and leadership. ‘5 BC Businesses Helping Provide A Greener Future’. Green Coast Rubbish is excited to be partnering with e-waste organization Think Recycle. Think Recycle is an innovative environmental fund raising program. All funds generated through Green Coast’s collection of e-waste will be donated to the David Suzuki Foundation. Together we can create a positive environmental impact. Read our blog about this exciting partnership. Green Coast Rubbish was pleased to volunteer our chainsaw expertise and services to the NSMBA’s Trail Adoption Plan over the course of the 2011 mountain biking season. Dale’s Trail – Mount Seymour, North Vancouver, BC. 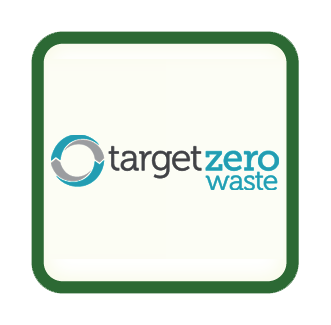 Green Coast Rubbish has officially completed Climate Smart-a program that helps business measure and reduce their Green House Gas (GHG) footprint. Visit our Carbon Footprint page to learn more about our carbon measurements for 2010, as well as our reduction strategies for 2011. In conjunction with Bicycles for Humanity and John Henry Bikes ‘Big Bike Give,’ Green Coast Rubbish offered FREE pickup of all bikes donated to the Big Bike Give for residents of the North Shore. The goal was to collect at least 1,000 bikes by May 14th, and then transport them to Uganda. We are happy to announce that this goal was easily reached! Green Coast Rubbish is please to announce that it will be co-sponsoring the NSMBA’s first trail day for the 2011 season. Follow this link to read all about the Upper Griffin Trail Day on Mount Fromme, North Vancouver, BC. Six things you didn’t know about us. An interview (Green Coast Rubbish Making Waste Removal More Environmental) by Erin Bury of Sprouter.com. 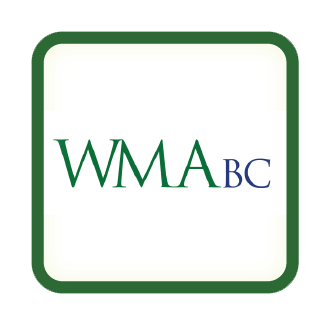 Green Coast Rubbish is excited to announce that it will be sponsoring the Coquitlam Minor Hockey Association’s (CMHA) Initiation ‘Game On’ Hockey Tournament. The tournament will feature local as well as international H1 to H4 (5 to 8 year old’s) hockey teams. We are very proud to sponsor these young heroes of the future. 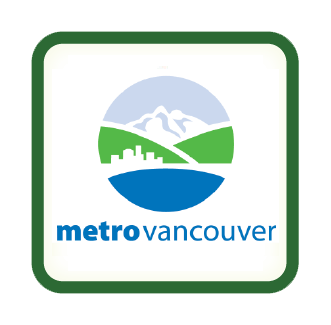 Green Coast Rubbish in partnership with Metro Vancouver offered the residents of Indian Arm Electoral Area a one-time, water access only, free debris disposal and recycling drop off event (follow link to view Metro Vancouver’s press release). This first of its kind event enabled Indian Arm residents to recycle and dispose of waste responsibly, conveniently, and economically. This initiative recovered and recycled nearly 5 tonnes of metal and garbage, 90 litres of paint, 18 litres of used oil, and 32 industrial and marine batteries. I am pleased to announce that Green Coast Rubbish will once again be a supporting sponsor of the North Shore Bike Fest, the resurgence of mountain bike racing and culture on the North Shore. The bike fest will be taking place at Inter River Park in North Vancouver, BC. Green Coast Rubbish is proud to announce that it will be sponsoring the West Vancouver School District Environmental Science Fair, which will be focusing on ‘Inventions and Innovations that Promote Environmental Sustainability’. The focal point of the Environmental Science Fair is to challenge elementary and secondary students to utilize existing technology to create a project that presents viable solutions to the environmental issues that face us in our daily lives. We at Green Coast Rubbish are happy to announce that we will be a co-sponsor of the North Shore Bike Fest . This first time family event will feature Cycling BC sanctioned Marathon XC, as well as BC Cup DH races.The Bike Fest will take place at Inter River Park in North Vancouver, BC. Green Coast Rubbish will be a supporting sponsor of the NSMBA’s Griffin Trail Day on Mount Fromme, North Vancouver, BC. All proceeds go to trail maintenance programs for responsible and sustainable mountain biking on the North shore.